Good morning Yankees family and welcome back to the blog. Trust me, Yankees family, it pains me to even type out this sentence… but Jared Carrabis was right. If you don’t know who Jared Carrabis is, he is the writer for Barstool Sports that covers the Boston Red Sox. He is a douche bag that loves to rile up Yankees fans for exposure, for clicks, and for fun. The worst part is, it works in most cases. Not with me, but that is for another blog post and another day. One post he made recently actually made a little sense to me, and it was a post calling out the Yankees fans who blamed injuries for their struggles this season and used it as an excuse as to why the Red Sox were winning the division and not the Yankees. Here is his tweet that I am transcribing, because why give him THAT much notoriety by embedding it? 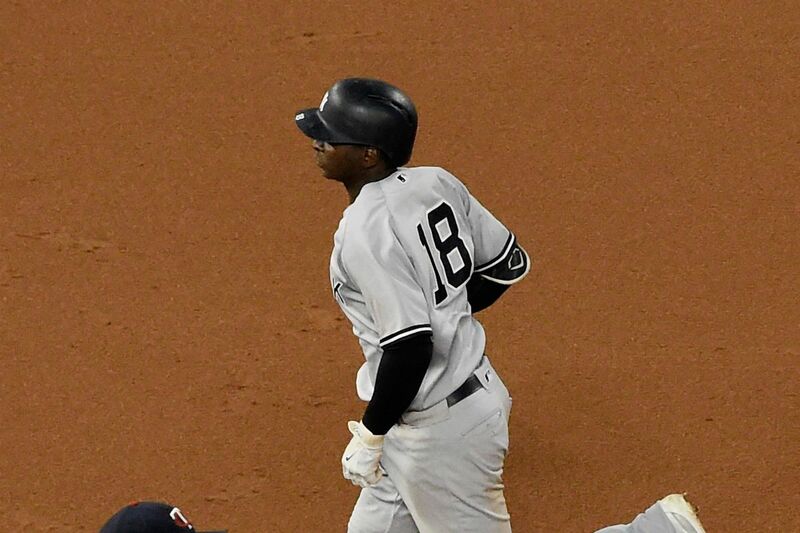 The Red Sox (27) have had more DL stints than the Yankees (23) this season, resulting in 1,185 games missed by 19 players on the Red Sox to just 20 players and 1,088 days missed for the Yankees. The Red Sox lead the Yankees by 11.5 games (at the time of this tweet). Now I did not stat check this by any means, but I checked the comments section and no one else exposed it for being untrue. And you know Yankees fans, if he were off by a half a game SOMEONE would have called him out for it. So, in closing, no more blaming injuries for a lackluster second half and bad coaching decisions. It is what it is, just keep rooting until the schedule tells us not to or go root for the Mets. Either way is fine with me. And a special good morning to you, my Kari. I love you with all of my heart. I always have, and I always will. 100 kisses for you this morning. Different comparison , they never lost three top players out at one time this year slugging wise. Montgomery equals all the pitching ailments they had plus we have had Tanaka and CC also to match the Sale and others. Like I said Boston has not lost three top sluggers at once. If we get everyone back and I believe that Bird needs to play I still think he is the 1st.base we need , he walks and will hit doubles as well as homers.